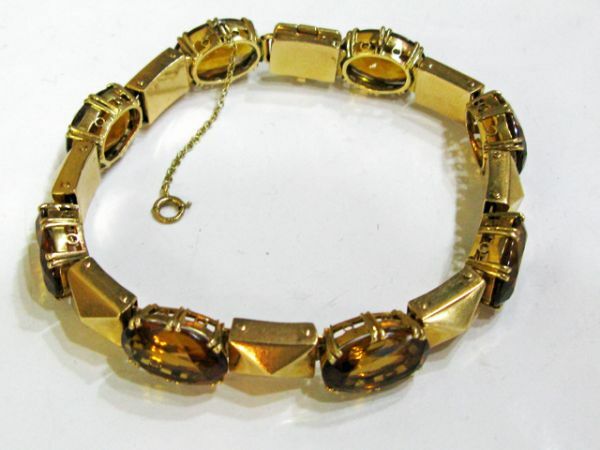 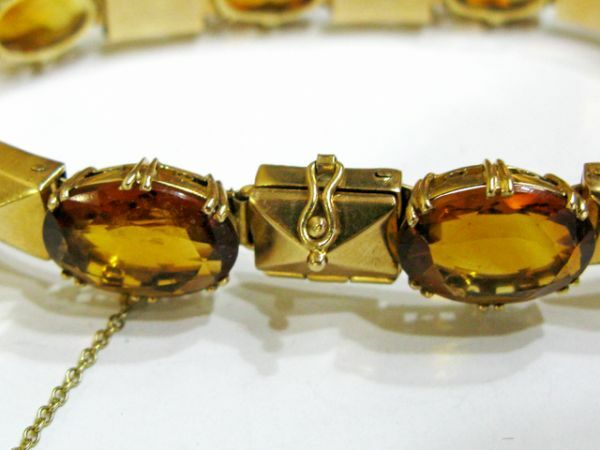 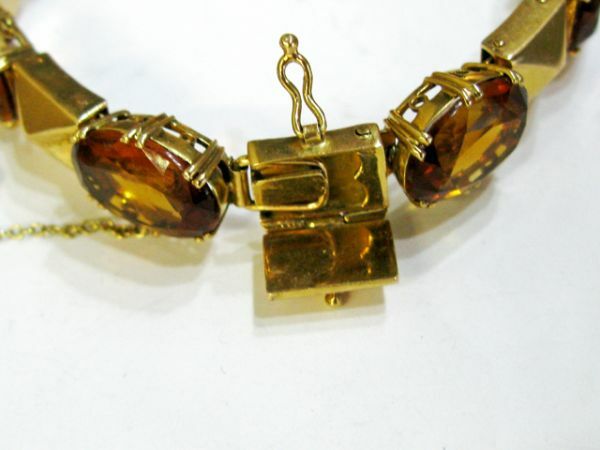 A stunning vintage 14kt yellow gold bracelet with 8 oval facetted cut deep intense brownish orange citrines, est. 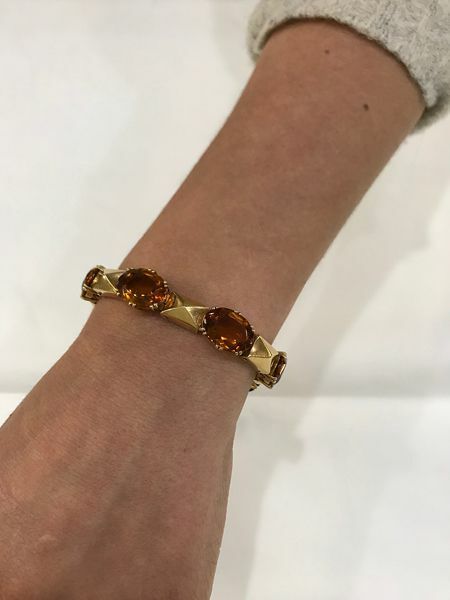 38.05ct. It has an unique treasure chest style clasp, safety chain and is approx. 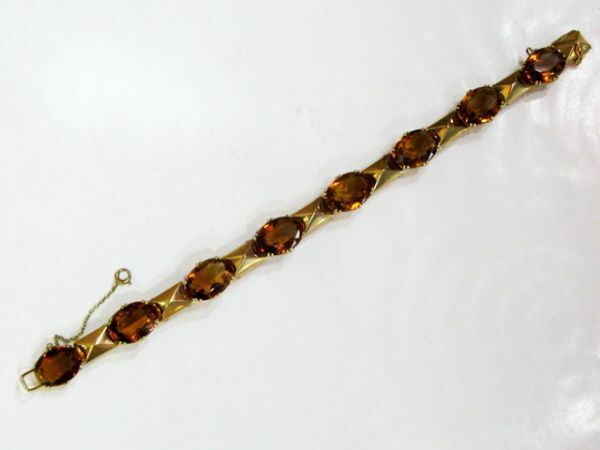 7.5inches (19.05cm) in length.